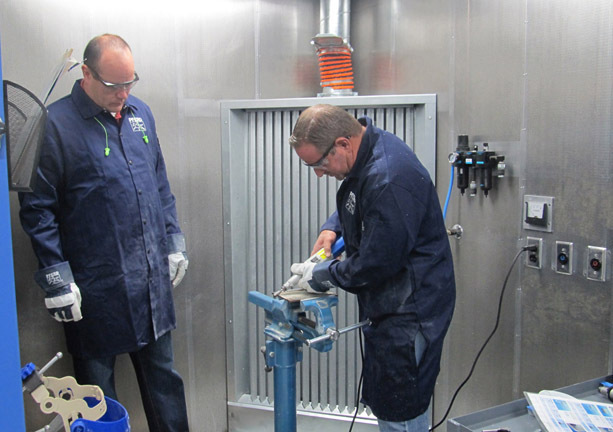 With their stated goal of “To enable sales representatives to become more effective and successful in their job through product knowledge and hands-on experience”, PFERD INC. today announced the opening of the PFERDACADEMY at their manufacturing facility in Milwaukee, Wisconsin. This state-of-the-art training facility is a safe and controlled working environment equipped with a broad selection of power tools and product samples. It is staffed by an experienced team of technical experts all trained at PFERD worldwide headquarters in Marienheide, Germany. 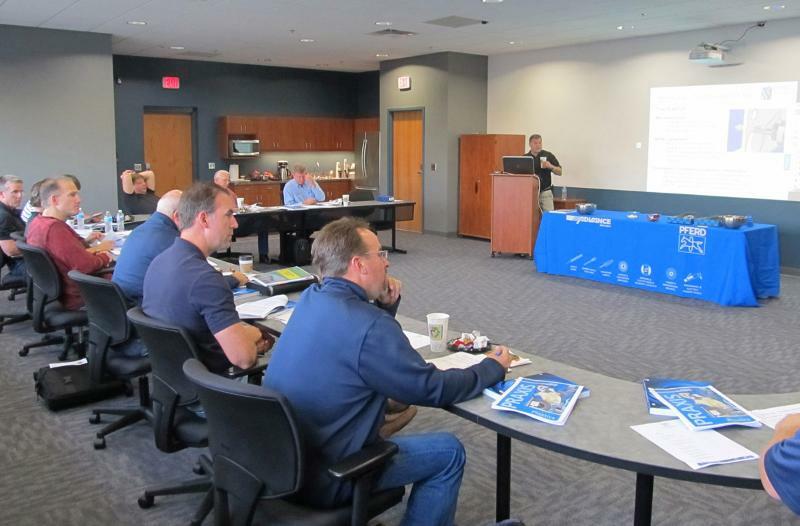 Courses include comprehensive classroom sessions and practical laboratory applications covering PFERD’s complete line of abrasives, TC burs, files, mounted points, specialty abrasive products, brushes and power tools. Training schedules are already being planned for 2013 and consist of sessions that run for two and a half days with meals, lodging and ground transportation to and from airport provided for all attendees. All training manuals and materials are also provided and certificates of completion are awarded to those who complete the program successfully. Distributors are encouraged to contact their PFERD representative to learn more about how they can schedule their sales people for registration in upcoming training sessions. National Training Manager, Sam Lombardo, directs all PFERD training efforts in the U.S. He has a broad background in the metalworking industry. Phil Benincaso, PFERD Training Manager, who has been with the company for over twenty years, will also have an important role in managing this enhanced program. Other staff members include trainers, Imre Karetka and Kevin Kolb, both PFERD veterans with advanced training completed at PFERD worldwide headquarters in Germany. In announcing his company’s major commitment to this comprehensive training effort, Sam Lombardo stated, “We are encouraged by the enrollment activity we have already seen and believe distributors recognize that this program will go a long way in making their sales people more effective in demonstrating the advantages and innovations of PFERD products to their customers”.